With funding from the U.S. Department of Energy (DOE) and Energy Foundation China, Lawrence Berkeley National Laboratory’s (LBNL) China Energy Group has trained more than 400 researchers, city mayors, policymakers, and practitioners to use its suite of low-carbon planning tools (ELITE Cities, BEST Cities, and GREAT) over the past six years in more than 20 cities in China, including Beijing, Guangzhou, Jinan, Kunming, Nanchang, Shenzhen, Shanghai, Wuhan, and others. Applied independently, or in combination, LBNL’s tools are designed to help Chinese cities evaluate their current energy and emissions performance across key categories; identify and explore energy and emissions reduction opportunities; and establish concrete action-plans for low-emission development that can be implemented in phases, over a multi-year timeframe. For instance, BEST-Cities, which was recently awarded a prestigious R&D 100 Award, helps Chinese city authorities evaluate the appropriateness of more than 70 different technology and policy strategies that can reduce their city's energy use and emissions. On January 22, 2017 in Shenzhen, China, LBNL, alongside Shenzhen IBR and the US-China Energy Cooperation Program (ECP), co-hosted an event to “cap-off” its six years of training on its suite low-emission planning tools in China, entitled, “U.S.-China Low Carbon City Action Planning and Technology Solutions Workshop.” The day-long workshop was sponsored by the US DOE Office of Energy Efficiency and Renewable Energy (EERE), DOE’s US-China Clean Energy Research Center Building Energy Efficiency (CERC-BEE) program, and the Shenzhen Institute of Building Research (IBR). The primary purpose of the workshop was to introduce Chinese cities trained on LBNL’s low-emissions tools to a range of US technology companies that could help them implement their low-emission action plans, thereby facilitating commercial opportunities for US companies in China. The full-day workshop was attended by more than 60 individuals from US and Chinese government and research institutes, Chinese municipalities, and US companies. The Workshop Helped US Companies Identify Target Chinese Cities for Their Technologies. 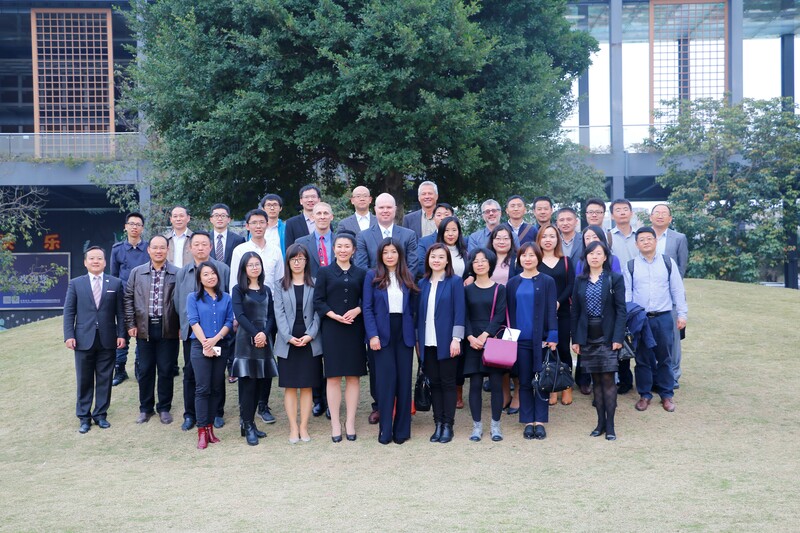 As a result of the workshop, all 20 representatives from US companies that participated in the survey noted that they would pursue commercial opportunities in the four Chinese provinces/cities that presented their low-carbon action plans. Among these, 100% would pursue commercial opportunities in Shenzhen; 55% in Guangzhou; 45% in Shandong; and 35% in Gansu. The Workshop Provided US Companies with “Useful Networking Opportunities” with Chinese Cities. 100% of US technology companies participating in the workshop survey noted that the working afforded “useful networking opportunities” with Chinese cities. The Workshop Helped US Companies Better Tailor Their Marketing and Products to Chinese Cities’ Needs. 100% of US technology companies surveyed indicated that the workshop provided a unique opportunity to gather information on Chinese cities low-carbon technology needs in order to tailor their marketing and products for these cities. Chinese Cities Are More Likely to Procure US Technologies. As a result of the workshop, 100% of the cities surveyed indicated that they are more likely to purchase US technologies. Most Chinese Cities Will Make Technology Procurement Decisions in the Next 6 Months. 83% of cities surveyed indicated that they would pursue technology procurement decisions in the next 6 months and 17% indicated they would do so in the next 9 months. For a news story on this workshop, please click here. Click here to download workshop presentations.